Mini Size – Big Value. 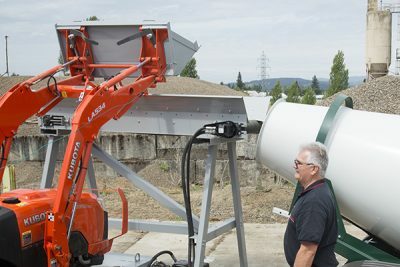 The Mini Belt Loader by Cart-Away allows you to load your mixing trailer quickly with a small footprint. The loader can be assembled in a matter of minutes and can be moved from location to location with ease. The 7-foot long conveyor quickly loads your dry materials into the mouth of the mixing drum using hydraulic power. Just start the belt, scoop raw materials to fill the drum and then make concrete in the portable mixer trailer. 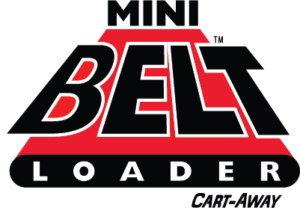 Your Mini Belt Loader can load one trailer or multiple trailers, all day long. The bolt-together legs place the conveyor at just the right height for slinging the material off the belt and into the drum. The fast-moving belt and wing-walls allow you to dump from larger tractor buckets to speed the mixer filling process. You can set this loader up temporarily at a job site, or leave it in your yard for regular trailer loading. The conveyor portion weighs 370lbs, the power unit is 360lbs and the leg-kit is 192lbs. 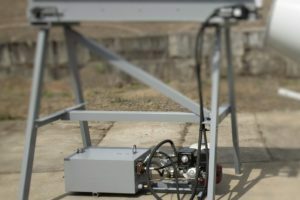 The portable power unit and quick-connect hoses allow you to place the hydraulic tank under the conveyor, or off to the side. The 13hp Honda engine has plenty of power and starts easily. The simple mushroom control runs the conveyor and also provides a quick shut-off if necessary. The Mini Belt Loader is compact, efficient and a great value. 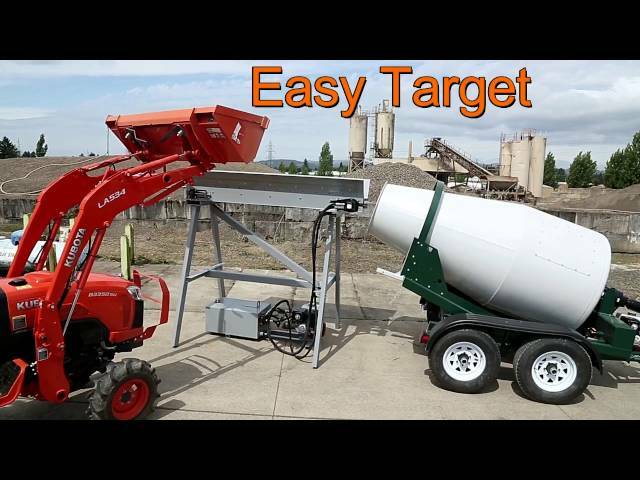 An easy way to load Concrete mixing trailers. 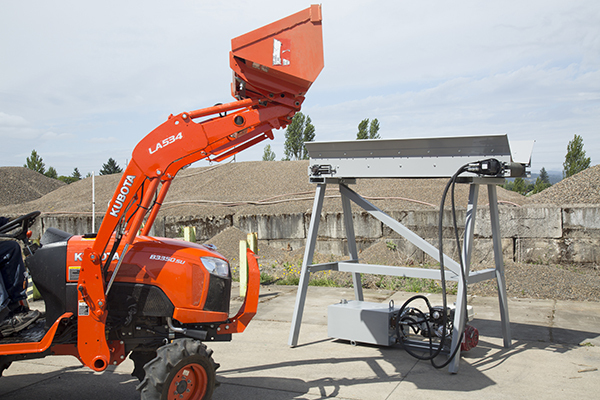 The Mini Belt Loader sets up easy and loads the mixer efficiently. 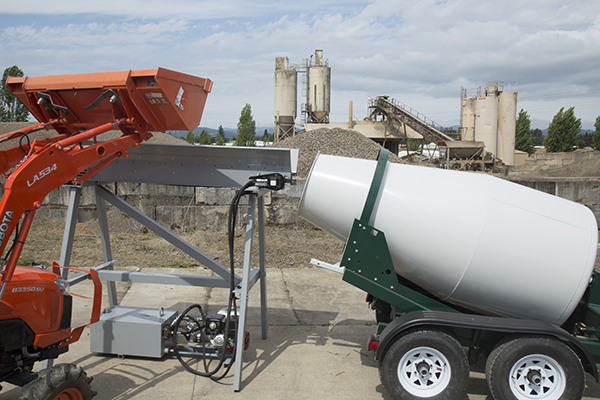 This material loader is small enough to move from job to job, yet robust enough for filling a fleet of towable concrete mixers. Let us build you a loading solution that will keep you ahead of your competition.